Unwrap crisps, and open yogurt. Place small bowls or paper baking cups in box or lunch container. 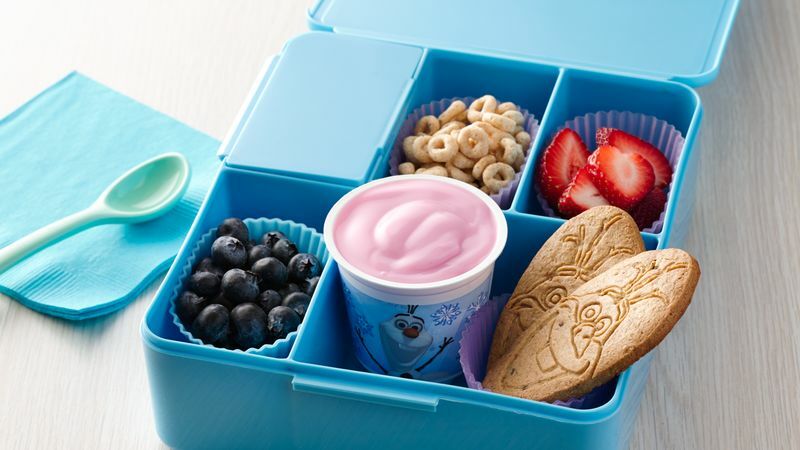 Arrange crisps, yogurt, blueberries, strawberries and cereal in container, using photo as a guide. Other mix-in ideas include chopped dried fruit, sliced grapes or shredded coconut. Use the empty crisps box for a fun presentation.